China is gradually emerging to be the new wild card territory for Hindi cinema. Right when the world had given up on any film coming even close to the global box office dominance of SS Rajamouli's war epic Baahubali 2: The Conclusion, Nitesh Tiwari's sports biopic Dangal suddenly emerged out of nowhere and dethroned Baahubali from its global standing, owing to its momentous run at the Chinese box office. A major chunk of credit goes to the lead star of Dangal, Aamir Khan. He is what the late Raj Kapoor was to Russia and Mithun Chakraborty was to Africa. His previous films, particularly Rajkumar Hirani's 2009 coming-of-age film 3 Idiots and 2014 science fiction satire PK, fared immensely well in China and established him as a foreign force to reckon with. Dangal, given its culturally appealing storyline coupled with Aamir's popularity, catapulted it to unprecedented heights. Now, one film that has the tools to rival Dangal at the Chinese box office, is Kabir Khan's period drama Tubelight that released earlier this week in India on 23 June. 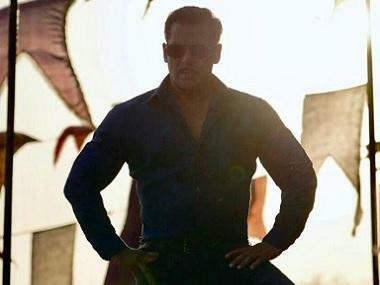 The film, starring Salman Khan in the lead role, has already minted over Rs 6 crore in Dubai. But it has received mixed reviews from critics. But the reason behind the same could be that it is not a typical Salman Khan film. Usually, Salman's films are targeted for local consumption and are focused mostly on making his avid fans happy. But with Tubelight, Salman has taken that plunge of yakeen, or faith, and starred in a film that is so much more. An official remake of Alejandro Gómez Monteverde's 2015 war film Little Boy, the film speaks to an audience across borders, particularly the north eastern border. It is set in 1962 with the Indo China war as the backdrop. While the war serves as a crucial part of the narrative, the message that the filmmaker has tried to convey is completely the opposite. It has brought to light the futility of war through the journey of its titular character, played by Salman. Kabir echoed a similar thought in the 2015 film Bajrangi Bhaijaan, also starring Salman. "Yes, we have tried to send across the message that war or cross border tension takes a toll on people from both the sides. It was the same idea with Bajrangi Bhaijaan and now we have carried it forward it with Tubelight. Irrespective of the relations between the governments of two countries, the people always seem to be on good terms with each other," Kabir said, in an exclusive interview to Firstpost. This is probably the reason why the idea behind Bajrangi Bhaijaan also resonated with Pakistan moviegoers, resulting in a good business for the film across the LOC. The same could happen with China, in case of Tubelight. Chinese actor Zhu Zhu's presence in Tubelight will also serve as an additional incentive for the Chinese audience. However, the status of the release of Tubelight in China remains murky. "It's a longer process in China. There are limited foreign releases and the process begins only once the film releases in India. 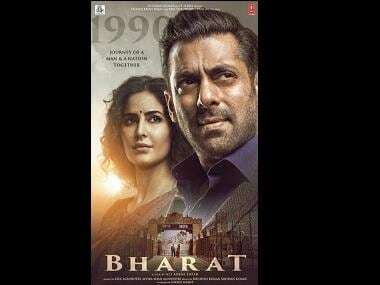 But we will certainly try to get not only Tubelight but also Bajrangi Bhaijaan to release across China," says Amar Butala, COO, Salman Khan Films. The latest development is that Salman's sports drama from last year, Ali Abbas Zafar's Sultan, is all set to release in China this year. It has also won the Best Action Movie award at the 20th Shanghai International Film Festival. The performance of Sultan at the Chinese box office may be a 'teaser' of what can be expected from Tubelight there. If Salman passes the acid test this year, he may turn out to be a formidable threat to Aamir Khan's supremacy in the cinema halls of China.